Although I received complimentary products for review, all opinions are my own. Thank you for dropping by Nanny To Mommy! 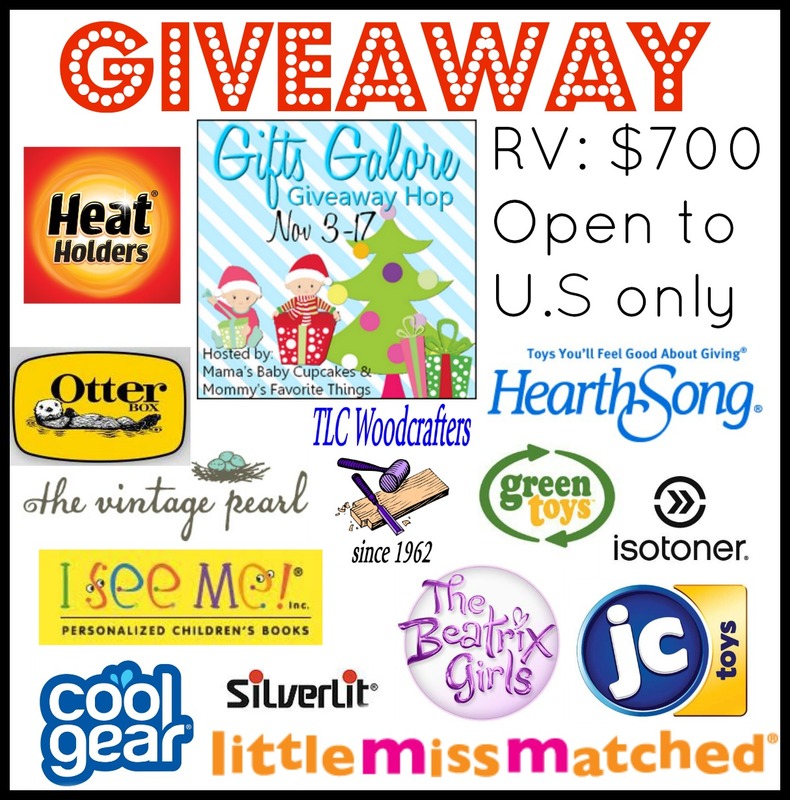 My giveaway is from Great Pretenders that has been featured in our Holiday Gift Guide! Full review will be coming soon. 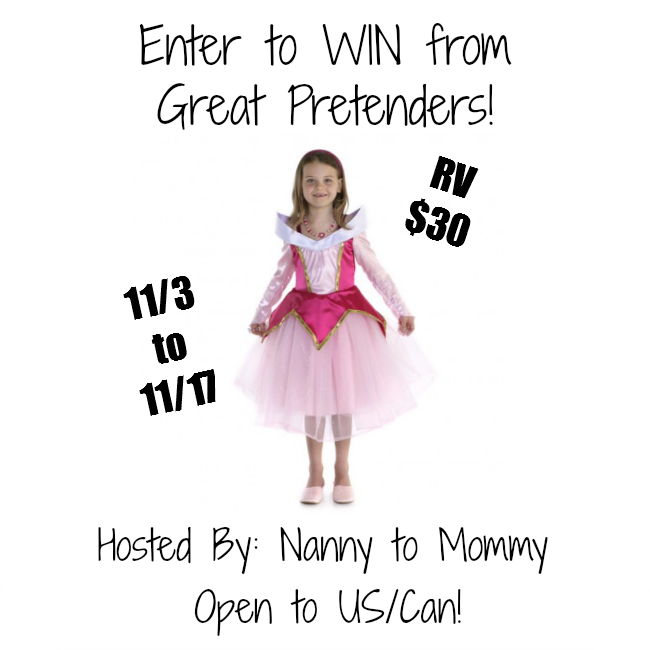 Enter to win this Sleeping Cutie dress featured above or a boy costume for around $30. That way your little one can enjoy pretend play all year round! This giveaway is open to US and Canada! Must be 18+ to enter. 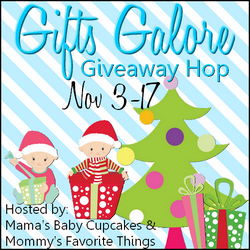 Nanny to Mommy, Mama's Baby Cupcakes, Mommy's Favorite Things and the "Gifts Galore" participating bloggers are not responsible for sponsors who do not fulfill prize obligations. This giveaway is open to US/CAN, must be 18+ to enter. One entry per household/IP address. Nanny to Mommy was not monetarily compensated to provide this review or giveaway. All though Nanny to Mommy received complimentary products for review, all opinions are our own. If you would like to see your product featured in our Holiday Gift Guide or sponsor a giveaway, please contact Diana.n.chastain@gmail.com. I'd give this to my niece. She love dressing up, it's one of her favourite games. I would love this outfit for my granddaughter. I have two little boys. I would love the Bat Cape Set with Mask and Wristbands or the Pirate Wooden Accessory Set for them! They would have a blast. I would give this to my daughter, she loves to dress up. This would be for my princess obsessed daughter and I would get this: Snow Queen Cape I am not actually sure she would ever take it off ;) best Christmas gift ever! I would get it for my son. I love the captain hook outfit. It would be perfect since I made him a Peter Pan outfit for when we went to Disney. He loves to dress up. My son would love the Spider man set with mask and wrist bands. But the captain hook set is really cute as well! I would love the princess set for my daughter! This would be for my 15 month old daughter! This would be for my daughter who loves to dress up! I would give this to my great granddaughter. She would look so good in the Pink & Pink Layered Skirt. I love the Dragon/Knight outfit for boys. My seven year old son would be excited to have this. I'd love to win this for my 5 yoa niece. She'd be thrilled. Thanks. I would save it for my baby that is due in February. My daughter would love this , so cute! She has a couple princess dresses but no Aurora! I would want this for my 4 year old son. Of course I would let him choose but I like the Captain Hook Set. I would love to give this to my little grand-daughter. She loves to play dress-up. I would get the Captain Hook set for my son. This would be for my boy and he would just love the Spider Cape Set with Mask and Wristbands. He gets his Halloween costume and plays in it at times. I'd love to give this to my daughter. She recently started loving "dress up" so this would be a perfect Christmas gift! This would be for my son. I love the Captain Hook Set, Brown, Md. I'd give this to my friend's daughter...she loves to dress up. My son would love the Dragon Cape with Claws, Green, Md. I would just pay the extra. My son would like the Yellow Fireman Set with Soft Hat, Md. My daughter would get this. She is 3 and LOVES dressing up! I would give this to my daughter, she would absolutely love it! I like the new New Pink Mermaid Dress, Md dress, I would give it to my niece. If I won this one I would love to give to a friend's daughter for Christmas. If I won this, I'd save it for my future grandchild (Feb 2015). For a boy I'd choose the Glitter Wizard set with cape. If I won, I would give this to my daughter! I would give the Sleeping Cutie dress to my granddaughter. I would definitely give this to my daughter, she would love it! If I won I would give this to my granddaughter. My 4 year old would love the Dragon Cape with Claws, Green. All I have are nephews, no nieces. For a little boy, something from Star Wars or Marvel would be fun. I would give this to my Grand daughter! She loves to pretend she is other people all of the time. I would give this gift to my boyfriend's daughter who would love it so much. I would give it to my daughter, she loves dressing up. My youngest daughter dresses up pretty much every day, so I would give this to her for Christmas! I would love this for my niece. I love their under 30 section! I love the EVA armor set in black/gray. My little guy loves all things dragons and is always hitting something around the house with his pretend sword! oth my kids still love to play dress-up - we have a whole dress-up dresser that this could be added too. I would give this to my great niece. She loves dressing up. I think she needs a separate small closet for all her dress up clothes. I would give it to my little girl. I would get her the princess cloak and let her wear it all of the time. Princess cape for my daughter. I would give this to my niece for a Christmas gift. She would love it. I would love to win this for my 2 year old daughter. I would love to win this for my daughters ages 3 and almost 2. We play dressup just about every day! I know that they would love it! I have a son and he would love the batman cape! I would give this to my two little girls, who love dressing up. my 5 year old is REALLY into dressing up right now! This would be really fun for my niece. I would gift this to my son. I am loving the wizard. I'm trying to win things to donate to needy kids this Christmas so this would be perfect! I'd love to win this for my daughter's dress up cabinet! Oh my goodness, they have such cute stuff. My son would look perfect at the knight or the dragon! I would give this to my 2 year old. She loves playing dress up. I would like the Captain Hook Set, Brown, Md for my grandson, Nolan. I would love to get the dragon/knight reversible cape for my kiddos! This would be great for my goddaughter. I love this! Boys can totally play dress up too! I'd pick the Captain Hook costume! I have a granddaughter who would love the monarch butterfly or the ladybug. No boys. I would give this to my daughter to use for her baby that is due soon. If I won, this would be for our granddaughter! If I won I would give it to my great- niece. I would give this to my daughter and she would LOVE it! I WOULD LOVE TO GIVE THIS TO MY DAUGHTER. THIS WOULD MAKE A GREAT CHRISTMAS GIFT!! This would be for my grandson and I know Carter would love their Reversible Dragon/ Knight Cape. I would give this to my little girl. She just loves playing dress up. I would give this dress to my daughter! She would love it! I would get the spiderman cape and mask for my grandson. I would give this to my niece who loves to dress up. I would give this to my granddaughter -- she loves to dress up in costumes and play. I would give this to my little sister! I would love to give this to my daughter who love to dress up. I would give this to my daughter as a Christmas present. I think she would really love it. I'd give to my best friend's step daughter. I would give this to my cousin's daughter, I think she'd love it. I would give this to my 4 year old granddaughter - she would love it. If I had to pick something for a boy, I would pick the Dragon Cape with Claws, Green, Md. I would love to get the New Pink Mermaid Dress for my granddaughter. My daughter loves to dress up so I would give it to her. This would be for my oldest son and I would choose the EVA Armor Set (Black/ Grey). My daughter loves to play dress up!! What cute outfits. My girls will love them!